Kids will love these easy bike trails for families! Riding a bike is a skill they say you never forget. Fun & active time spent with your kids is precious. This easy 5.5 km hard packed trail is a loop trail which should take about 30 minutes. Enjoy the beautiful scenery of Deer Lake Park, bring the family dog along. This easy 1.2 km paved trail is perfect for beginners and should take about 15 minutes with newer cyclists. This trail is suitable for preschoolers and circles Lafarge Lake. This easy 14 km trail is a hard packed out and back trail which should take an hour and a half to complete. Bike along the Alouette River as you look at the farms and mountains. It’s flat and part of the Trans Canada Trail. This easy 10 km out and back cycling trail along the boardwalk allows for views of boats on the majestic Fraser River and even public art. Bike rentals are available nearby if you don’t have your own bikes yet. It should take an hour to complete. There are a lot of dining options if you get hungry along the way. This easy 7 km paved loop trail loops around the city of North Vancouver and should take 45 minutes to cycle. Cyclists of all ages and abilities can explore the city by bike with this trail that loops through a handful of local parks providing opportunities to hop off and play. This easy 5.5 km paved trail is a loop which should talk half an hour and has many opportunities to view wildlife while you cycle. After cycling, there are playgrounds to enjoy. It’s an easy ride and suitable for all ages and abilities. This 6 km out and back trail is easy and should take 30 minutes. This trail lets you choose your own adventure – it could end in ice cream or fish and chips. Watch the planes take off from the airport and observe the beauty of the marshland. This easy paved 9.4 km path is a one-way loop (counter-clockwise) that should take an hour to cycle. Enjoy ocean views, see the totem poles, the Brock Point Lighthouse, and maybe even take a break at the waterpark at Lumberman’s Arch. Check out the Girl in the Wetsuit statue and cycle under the Lions Gate Bridge. It can be crowded, so avoid peak times if possible. There are so many family-friendly options for cycling in Metro Vancouver. 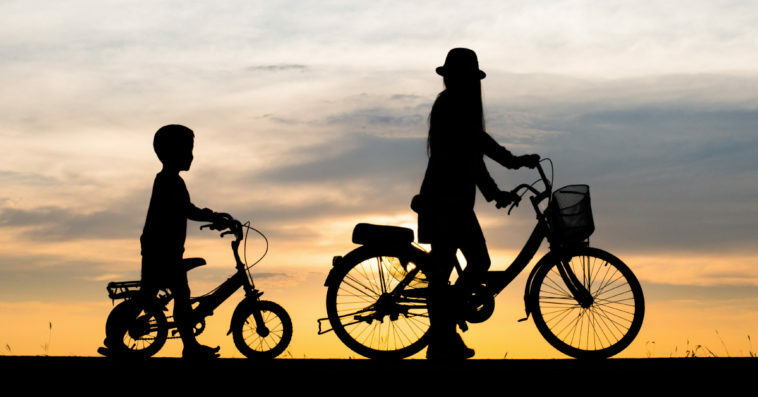 Which cycling trail will your family choose to explore? Need a snack idea for the trail? We’ve got you covered here. Don’t forget your helmets! It’s the law in British Columbia and will keep everyone safe for your next adventure. Hello, underneath the Lakeside Loop , the address 700 Gatensbury Street is showing. This address is actually the start of the trail at Como Lake (not Lafarge Lake). Thank you Celine! We appreciate the tip and have made that edit. Cheers! Hi Healthy Family Expo !!! Thanks for the tip Colleen! We’ve updated your link in our blog post. Cheers! The concept of normalizing cycling should be integrated into children from a very young age. So that when they grow up, they will prefer using a cycle over any other way of traveling.